are on call for your needs, 24/7. 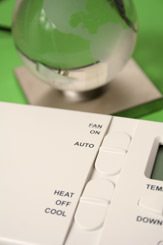 Air Systems Services is your total comfort solution when it comes to cooling your home. Let us keep help keep you cool when the temperatures are rising. Our air quality specialists can ensure that you are breathing in the healthiest air possible. Click to learn more about ventilation and the importance of indoor air quality. Geothermal heat pumps use the Earth's constant temperatures to heat and cool buildings. Our engineering and design team can solve all of your light commercial HVAC needs. Whether its new construction, or updating existing systems, we can help. Welcome to Air System Services, Inc.
At Air System Services, we provide sales, service and installation as well as a whole line of top quality Trane, Lennox and Honeywell replacement and high efficiency equipment. Our Offices are located just off Highway 64 in Knightdale, NC. Our fleet of trucks provides service throughout the Triangle area and surrounding Counties. Air System Services is a customer service based company dedicated to providing our customers with peace of mind and hassle-free service. To schedule an appointment just call 919-266-5755 or you can schedule an appointment online by clicking the schedule a service link here on our home page. Digital thermostats can sometimes make a simple process complicated, but still offer more solutions than a traditional analog thermostat. Here are a few common issues with digital thermostats. The cleanliness of your air ducts directly impacts the health of the building occupants and the amount of money spent on energy costs every month. Here is some vital info on why to keep your air ducts clean.